Over the past 65 years, I received the intimate spiritual experiences spoken of in this Website and elsewhere ... Acts of the Holy Spirit bringing about a progressive, transformative, healing, restorative work in my soul, heart, mind, body, life ... giving witness to truth of the resurrected Spirit of Christ within and among Humanity today bringing us into maturity, the truth of the Kingdom Of God within and in our midst now and the Sovereignty of Father God through His unfolding Plan for each of us. After being encouraged consistently by many, to write down and publish intimate Testimonies of the Love and Sovereignty of God in my/our life for the benefit of others, I sought Father's mind on the matter. I experienced an inner knowing I was being called to create this Website. I received understanding I would be given writings for it beginning in the next season of my Journey of Faith with the Spirit of God. Immediately I wondered what changes would take place so the time would open up for me to do so. Soon after, we were told our Season of Ministering as Inn Keepers at Listening Heart Farm Bed and Breakfast was to come to a close. We sensed we were to move back to our small Cottage in the Country and live a simplified life, trusting Father to continue to provide, however He chose, as we sought Him for His priority and Divine provision each day. Not always knowing what the Spirit of our Father wants me to write in advance, I ask, listen and wait for the Holy Spirit's priority, anointing and direction. 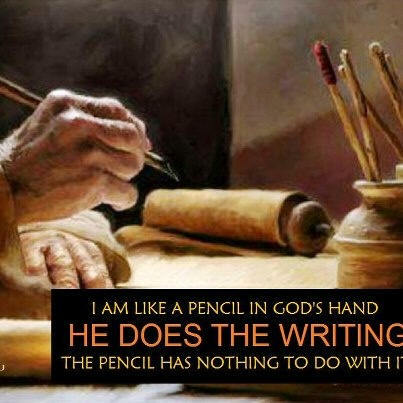 Since I began to write, on numerous occasions it has been said these writing would turn into Books through which like a whirlwind, the Heart of God our Father, Who is the Spirit of Love and Truth would over take those who read them. If this is to be in its due season, I receive. Your prayers are welcome. In the interim, I ask the Reader to please look beyond my grammar and seek to take with you that which Father desires to offer having crossed our paths. In the beginning... Love Manifested (my first vision) Like the Apostle Paul, whether I was in the body or out of the body, I am not sure ... I am sure I was born again of His Spirit during this vision and thus my life began anew. There are many levels of perceiving reality. Most of us are aware we comprehend and interpret life through a literal perspective, a finite, limited, natural way of observing and judging according to our 5 senses and previous experiences and conditionings before we are born of the Holy Spirit of God to fully embrace the New Covenant Father made for us through His Son Jesus the Christ. Some of us are conscious of our moral, ethical perspectives as well, whereby one's thinking and thus lives are ruled through our intellect, our emotions, our ego, and our preconditioning through mindsets sometimes imposed upon us, ultimately influencing the desires and understandings of our Soul ... liberated or otherwise. Through another perspective still, some of us hear and see with an ever increasing spiritual clarity and thus live fuller Spiritual lives through God's Spirit having awakened our Spiritual senses... giving us the gift of faith ... revealing mysteries previously hidden from us ... which touch our Spirit and restore our Soul with inner peace and joy. As such takes place exponentially... Deep cries out to deep within, enlightening and transforming Who we were only a moment before giving an inner witness to our Spiritual union with Father God's Holy Spirit within and in our midst ever urging us to be in His Presence ... to listen for His voice through the anointing of the resurrected Spirit of Christ ... to draw upon His power to walk in Spirit and truth and not after the flesh nature ... to desire to live in His Kingdom now, reconciled as Children of the most High. Children who have become new creations in and through Christ ... Eternal Spiritual Beings aware they are born of the Eternal Spirit of God. Children taught to see through their Father's Eyes of Eternity. Children taught to hear from their Father directly, receiving confirmations through the unfolding of their lives. After receiving my first Vision through my born again experience in 1978 and coming to recognize Father spoke to me in times past through a Dream which came to pass, I totally surrendered to whatever He desires. I find, I have been given the desire to not limit His Infinite Spirit with my finite thinking. I diligently seek HIM to keep me in His Presence and to speak to me however He chooses. Below is some of His ways... and what He made alive within me in the doing. A Study of Jesus "this is life eternal, that they might know YOU, the only true God, and Jesus Christ, whom YOU sent." Come and speak... all you who truly honor Almighty God... and let us declare as ONE what HE has done for our souls! May we each come to recognize and identify with Father's Holy Spirit within us. Bless You Father for causing us to become fully alive in Jesus according to the unfolding of Your eternal Plan, which conforms us into His Image and Likeness, the Image of You. Thank You we can rest in the knowing in Your perfecting timing Your Brilliance is made known.